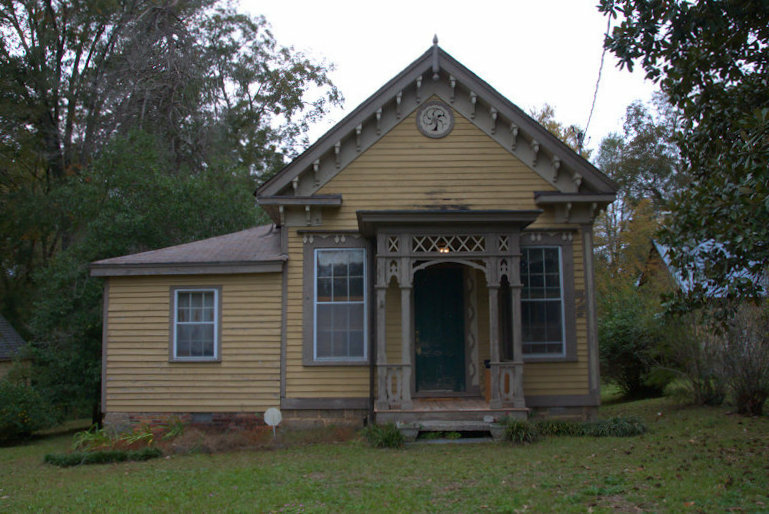 Thanks to the good folks at the Milledgville-Baldwin County Convention & Visitors Bureau for finally filling in some of the blanks on this house. 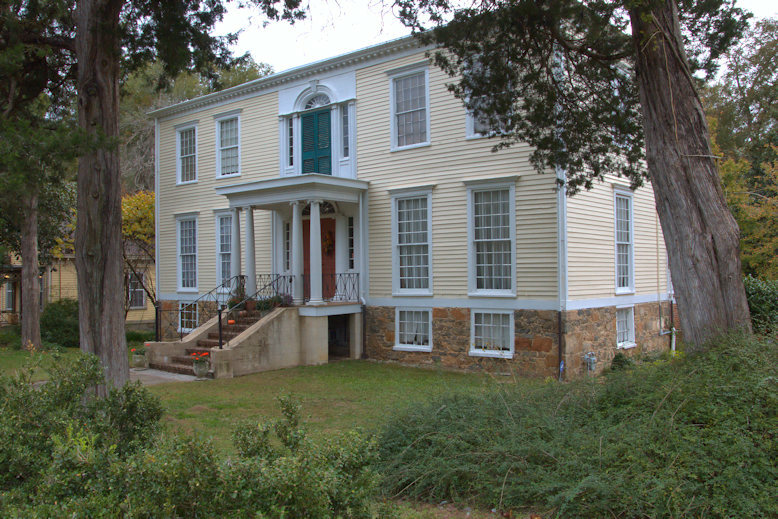 They note that it originally faced Jefferson Street. 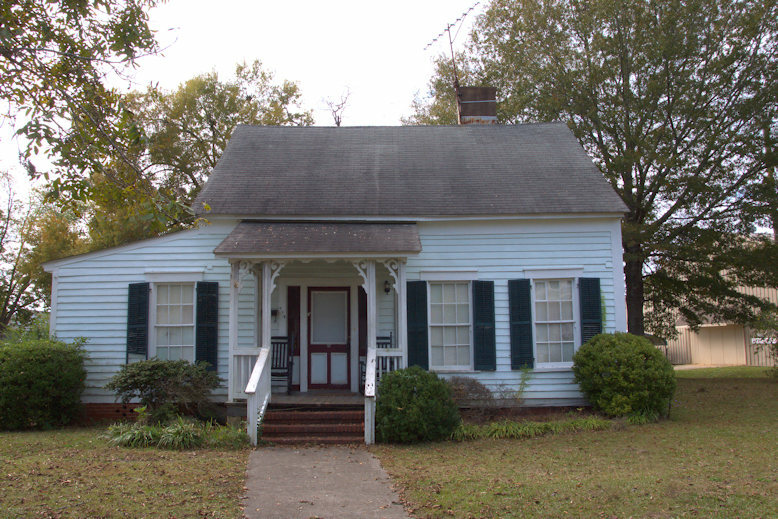 Though it isn’t quite as “refined” as other examples of the Milledgeville-Federal Style houses for which the city is known, likely due to alterations after it was moved, it definitely falls into that category. 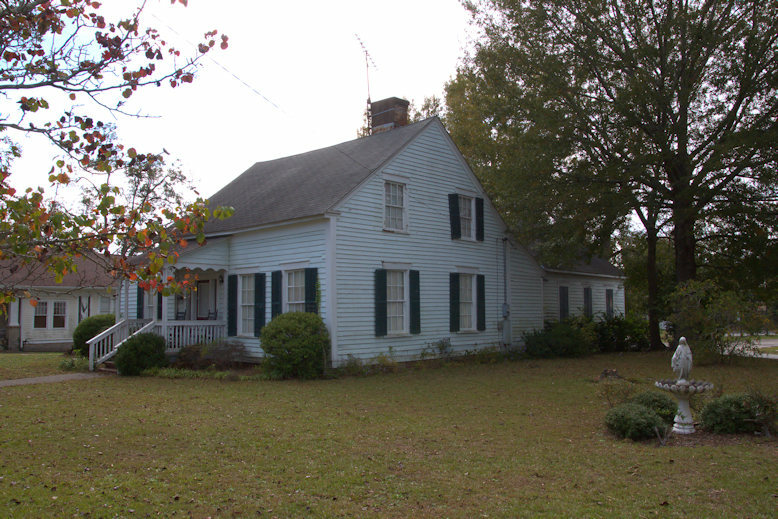 This has been identified as the Barksdale House, and is antebellum, as I had guessed. 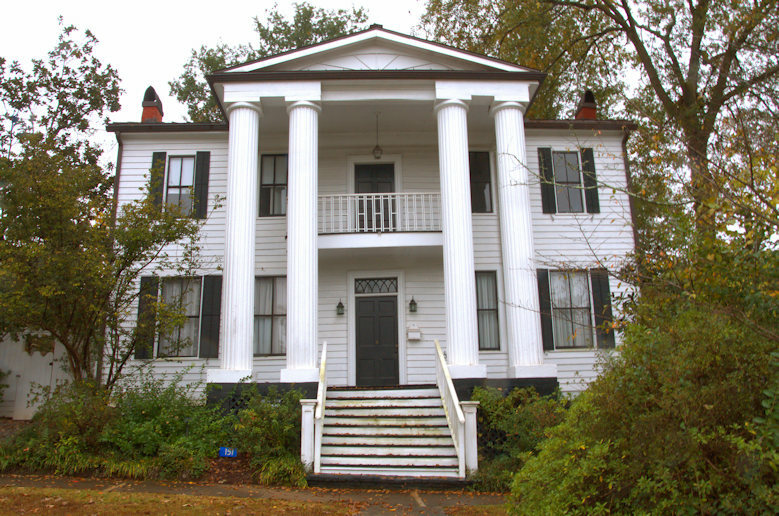 Built in the early 1820s for Dr. William Terrell (1778-1855), this remarkable Federal house displays a strong Palladian influence. 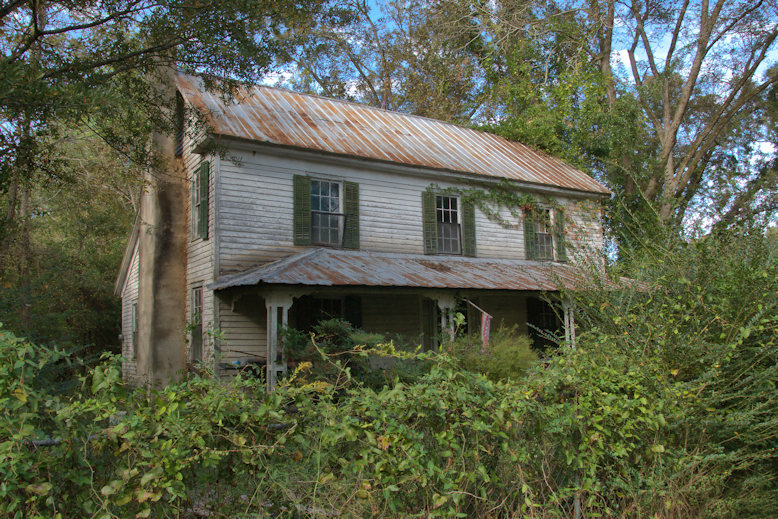 A front porch extending the width of the house was removed during renovations but was likely not original to the structure. A stone-sided kitchen survives on the property, as does an office said to originally have been a billiard house [below]. Obviously, it was built in the Victorian era and the side room is a later addition. 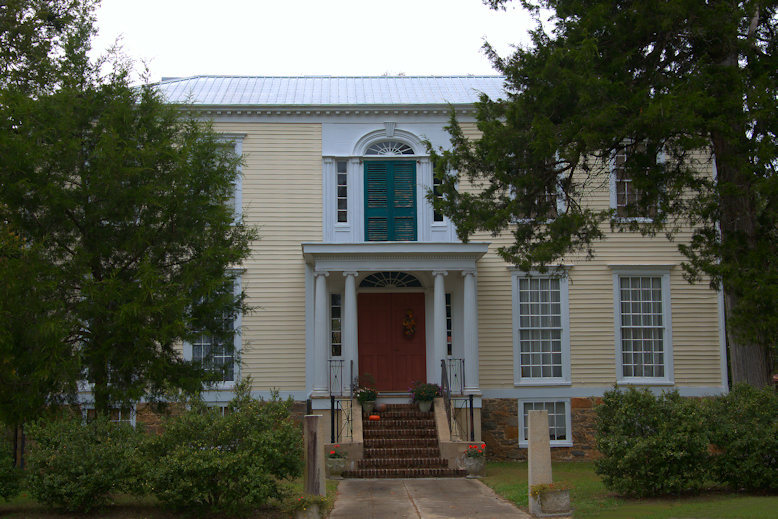 Dr. Terrell was a leading citizen in early-19th-century Sparta, serving in the Georgia legislature and later as a member of the U. S. House of Representatives. He was the founder and first president of the Sparta Planters Club, an agricultural and social consortium of prominent landowners which aimed to improve farming practices. He endowed the first serious chair of agriculture in the United States at the University of Georgia. Terrell County in Southwest Georgia is named for him. 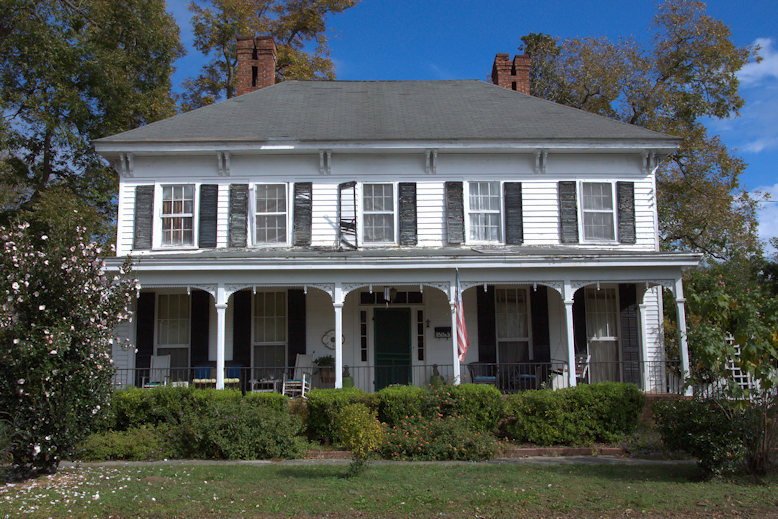 This landmark house was built in the late 1840s as a wedding gift for William Harley and Mary Battle, and was home to the Harris and Rives families thereafter. 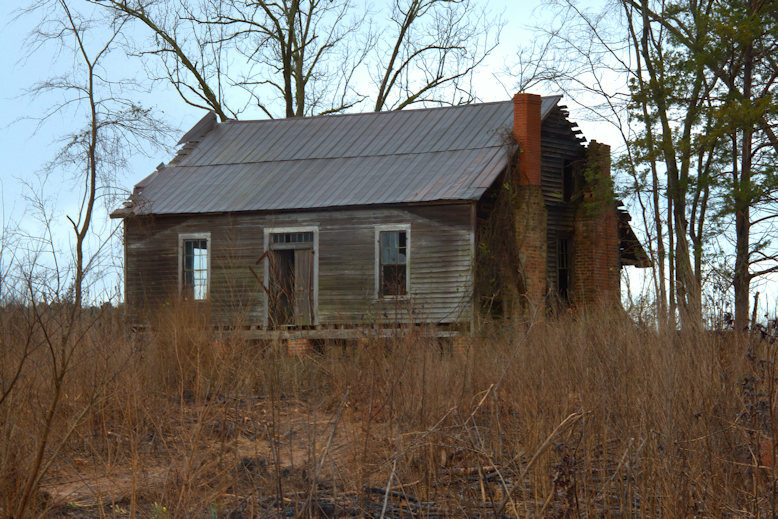 Like most grand residences of its time in the South, it was built with slave labor. 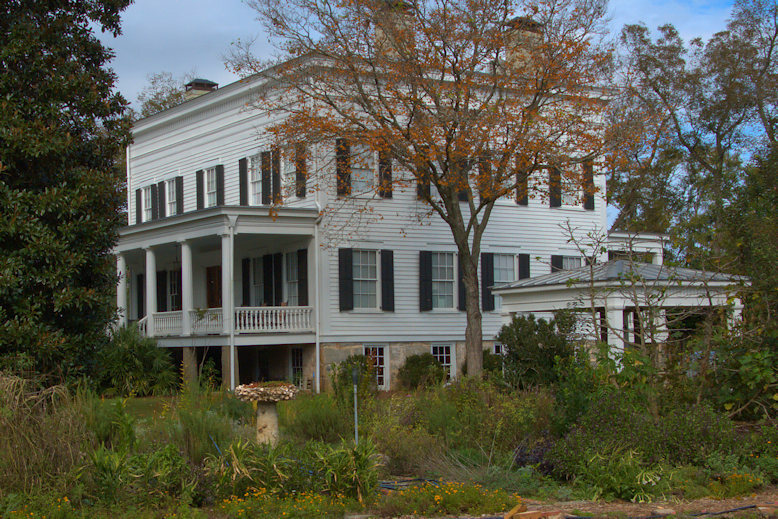 It was restored in the early 2000s by Suzy and Robert Currey and is today surrounded by their organic farming operations. 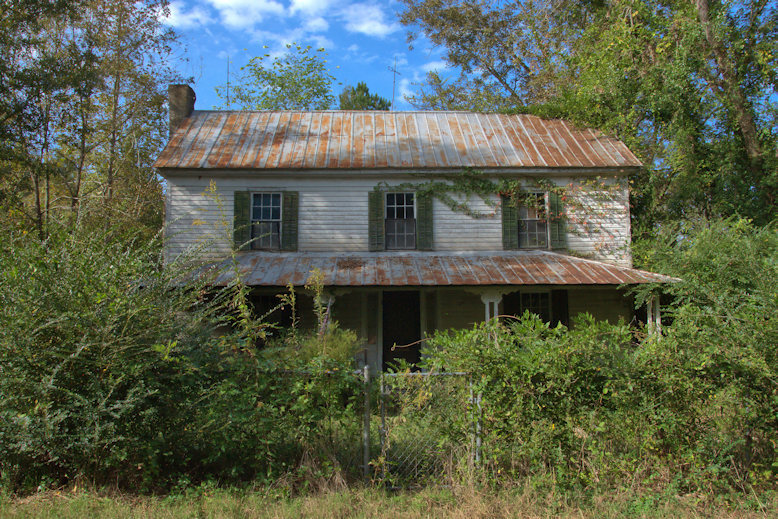 This house has been expanded at least twice in its nearly two centuries in Sparta.